EVERGREEN PARK, Ill. (WLS) -- The FBI has released photos of a man suspected in a bank robbery in southwest suburban Evergreen Park. 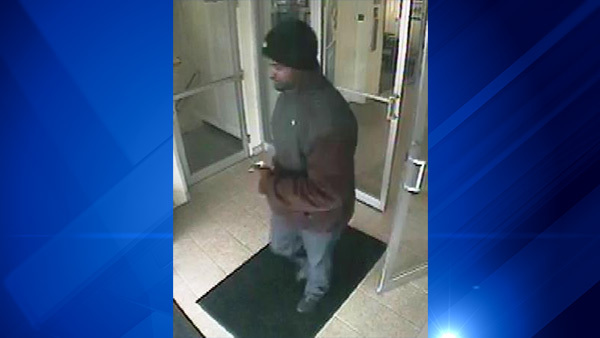 Investigators say a man robbed the BMO Harris bank branch in the 9500-block of South Kedzie Avenue on Friday. The suspect is described as an African American male around 6 feet tall with a birth mark on his forehead above his right eye. Anyone with information is encouraged to contact the FBI in Chicago.